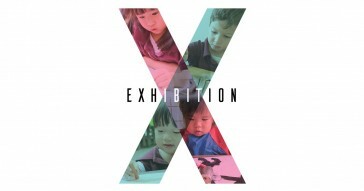 ‘Colours of Odyssey: Exhibition X’ (pronounced ‘Exhibition 10’), reminisces the evolution of the children’s artistry over a 10-year expedition. Since its inception in 2009, Colours of Odyssey has witnessed over a thousand ideas; a thousand dialogues; a thousand movements; a thousand journeys. 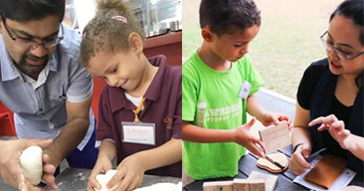 The children, with their predilection for exploring and experimenting, create astounding masterpieces with the myriad of materials and tools available to them. They speak with the language of lines, shapes, colours, forms and textures; conveying a message of hope and a vision of a world that is abundant in possibilities. ‘Exhibition X’ propels us back in time and revisits the themes we had explored over the past 9 years. Revamping themes like ‘Montage of Singapore’ (2013), ‘Kinesis’ (2014) and ‘Art from the Heart’ (2009 & 2010), the children will provide their own perspectives of these themes, language to their ideas and interpretations to their creations. Be astonished by the boundless voices that would speak to your heart, all for a benevolent cause. In line with Odyssey’s mission of community outreach, we are glad to work closely again this year with Singapore Children’s Society, who has been our community partner since 2014. The net proceeds from the entire sale of the art pieces will go towards the welfare of youth, children and families under their ward.